The dry leaves have an aroma of fresh-cut grass and nuts (I'm reminded of peanut butter) with salty marine notes. 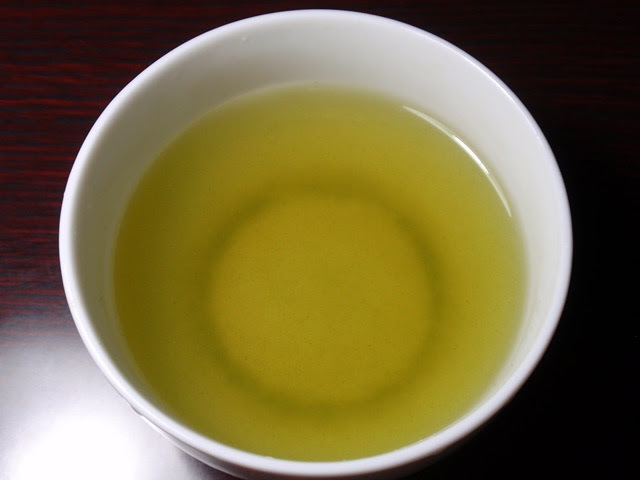 The infusion is bright green and opaque with a bold green and nutty aroma. 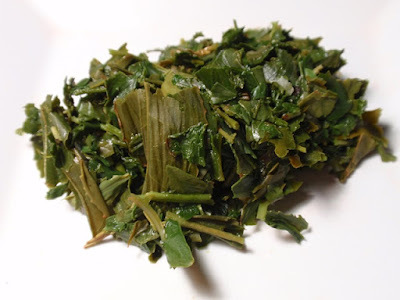 The taste is thick, very green and nutty with savory umami, moderate astringency and a long green nutty finish. 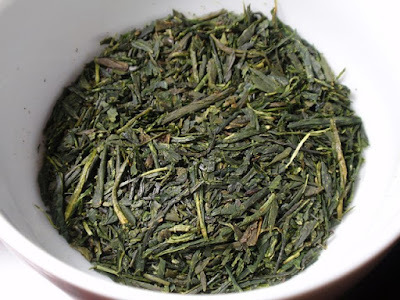 The first infusion was so thick and flavorful, I was reminded of a second infusion of fukamushi sencha after the delicate leaves are open and breaking down. The delicious nutty flavor and aroma is very pronounced in the first cup and becomes very mild after a second and third steeping. This sencha is produced near Tsubaki Grand Shrine in Mie and donated to Tsubaki Grand Shrine of America where it was available for purchase during Hatsumoude, the first shrine visit of the New Year. 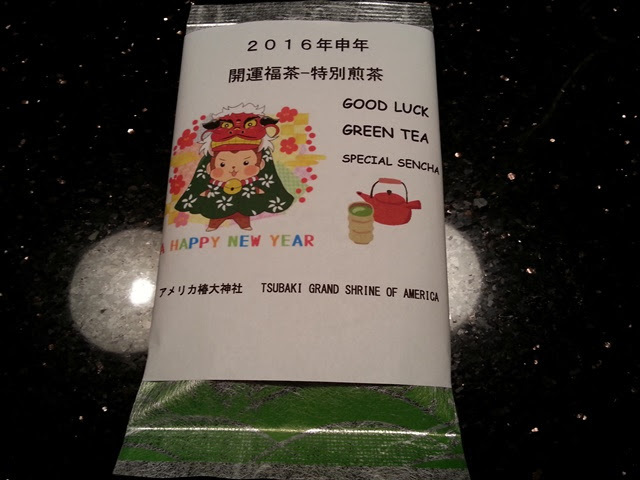 Ofukucha is generally a quality sencha or genmaicha, sometimes with additional auspicious ingredients, meant to bring good fortune and longevity in the New Year.